If your headlines are catchy enough, you need not worry about your visitors getting attracted to your website or content. You can have high quality content but it gets ignored by visitors due to lack of headlines that are interesting. When your visitors are not impressed by your headlines, your content might end up never being read and you might have your content never read. Things are changing fast and you need to learn what’s popular and know about the latest trends in creation of headlines. The different kinds of headlines we have! 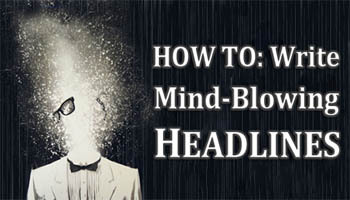 Learning about the different kinds of headlines will assist in knowing what will trigger the minds of your visitors. There are the normal headlines and are used in newspapers and other printed publications like magazines. Another kind is the question headline that is used to trigger curiosity among the audience and will make them think about the issue at hand. There is the how to headline that relies on the problem-solution approach that will present a challenge and follow up with instructions to solve the problem. The number headlines are another kind that are used in listing items and there are presented in this manner: ‘3 things that will grow your website’s traffic’. Other kinds of headlines are the reader addressing headlines that are aimed at giving your audience information on what they might need. One of the newest kinds of header is the intrigue headlines and it is being used more often and it makes use of direct statements to quickly generate curiosity to your audience. These heading can include humour, can include a question or cause controversy. Coming up with stunning headlines for your audience will come a long way in your self-expression other than copying ideas from other sources. You need to have original ideas and make use of unique combinations of your words. Know your audience and learn what their like best since this will make it better for you when coming up with the headlines. Will short or long headlines suit your content type and will it deliver the message as you intend? Run a test with the A/B testing and see how they perform. You might need to come up with 10-12 titles for the software to tell you which is best.